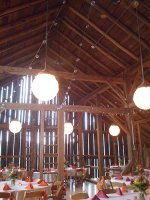 Budget wedding centerpiece ideas do not have to be tacky but it is important to plan what you are going to have as your centerpiece and then practice. 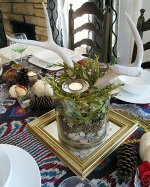 Quite often brides will decide on a centerpiece and then think it will be easy to put together or it won't take much time, whatever you choose make sure you can put it together yourself as this will save a fortune. You know your budget which is fantastic, sticking to it is the hard part - there are so many temptations and also experts that would cost a fortune if you decide enough is enough. 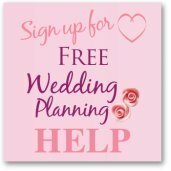 Work out the number of tables that you need for your wedding reception, include the top table and then divide your wedding centerpiece budget by the amount of tables you have. To give you an idea of costs a simple diy floral wedding centerpiece can cost on average $10 whereas a florists can charge $50+ for a mid-range centerpiece with 20 flowers. It is a good idea to think about your flower arranging skill level before you decide on something elaborate as you don't want to be paying twice for the flowers - once for when you do them and then a second time when the florist does them. If you think in the long run it would be cheaper to go with a professional, do it! There are lots of cheap wedding flower ideas with lots of photos for inspiration. Rather than flowers you can use candle wedding centerpieces instead. Shop around for your candles check out places like Ebay for candles as you can buy candles in bulk at a great price. Candles alone can be a bit plain but you can place them on a mirror - use cheap mirror tiles from a home store, and scatter petals, shells or pebbles around them. Floating candles in different height glass cylinder vases also looks pretty. 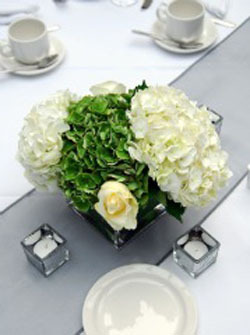 If your wedding has a distinctive theme then use that for your centerpiece, it could be as simple as the color. When you are budgeting for your decorations it is a good idea to see what you already have or what you could use. 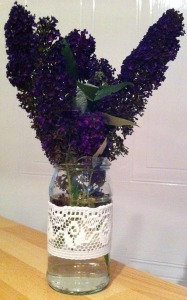 Vases don't have to be bought they could be a decorated glass jar, a painted tin can or a glass bottle. 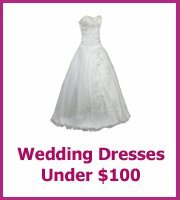 I have seen all of these used at weddings and they look great. By decorating all of the jars or tins the same noone will think they are not meant to be together. Other freebies that you quite probably have are twigs, leaves or flowers. All of these can be made into centerpieces.